Mother's are often expected to be a superwoman, juggling roles as a mom, a wife, a cook, a housekeeper, and a caregiver for the elders, and many others. By learning ways to become more efficient in performing household chores, moms can also have time to take care of themselves, and enjoy more precious moments with their loved ones. 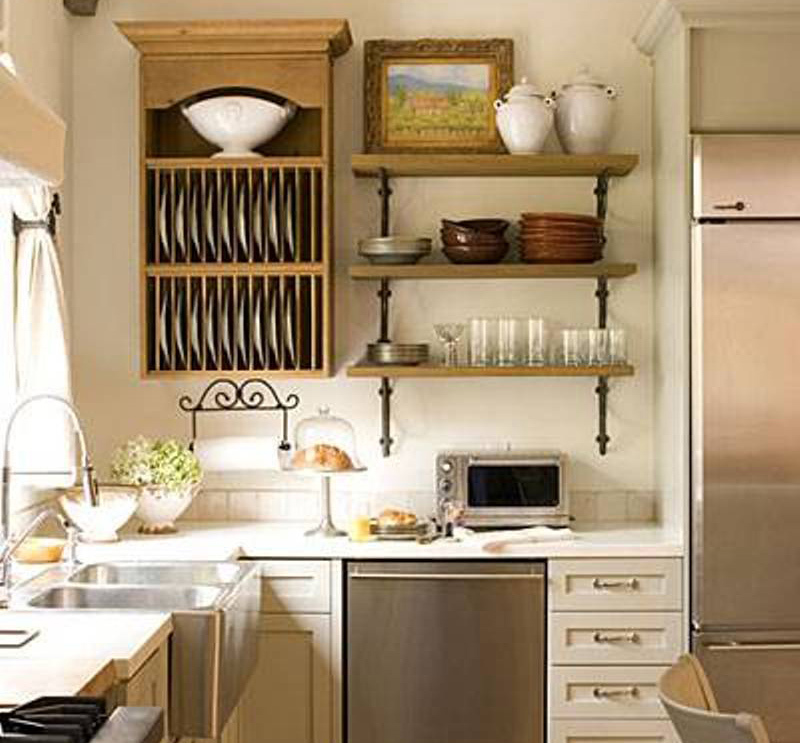 Scout for ready-made cabinets, shelves, and drawers that fit the kitchen and serve as storage for various items. 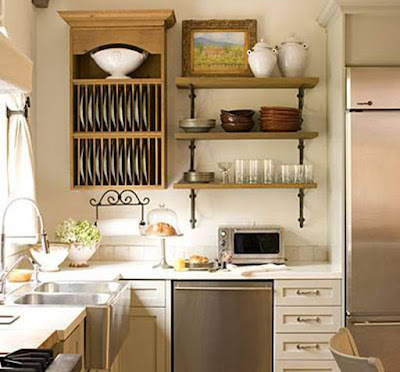 If you have the budget, you can hire a custom-maker of cabinets and a kitchen organizer, so that slots and nooks can be created to address the family’s unique makeup – for example, families with small children who want sharp objects in hard-to- reach places, or those who want to maximize a small space. This way, the arrangement of objects will be intuitive, and there will be less temptation to mess it up. Other members of the family must also be taught to respect the order of things, as their contribution to keeping the house tidy. sauce or soup thickener. Ingredients like garlic or onions should be prepared in batches, and stored for future use. 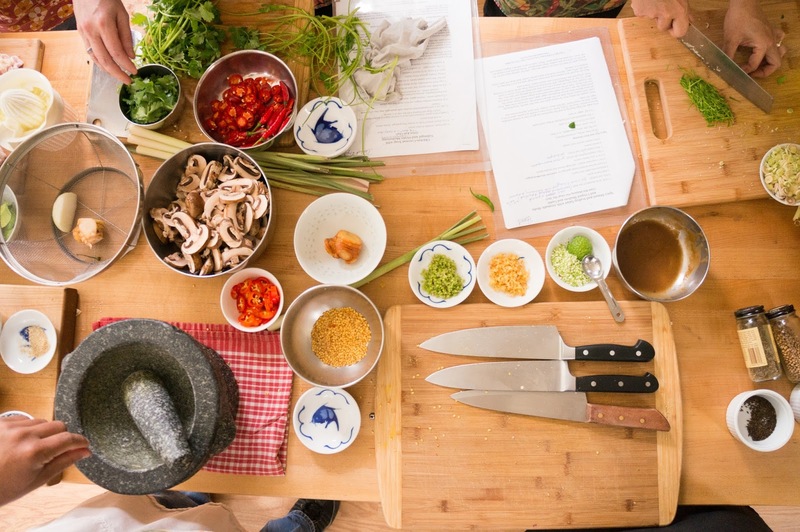 The order of the cooking should be smart, too: dishes that only require light sauteeing should come before those that will have strong flavors, so that the same pan or cauldron can be used even without washing. Furthermore, cookware should be washed immediately after (or soaked in water) so that it is easier and faster to remove the dirt. I'm pretty sure everyone knows who Barbie is, right? It's every little girl's must have toys, then and now. Last year the makers of Barbie launched Barbie Career dolls in the market stepping up its game by not only promoting the brand as an aspiring and premium asset girls can have during their childhood years, but also as their lifetime partner and compatriot while they try to reach their ultimate life goals. 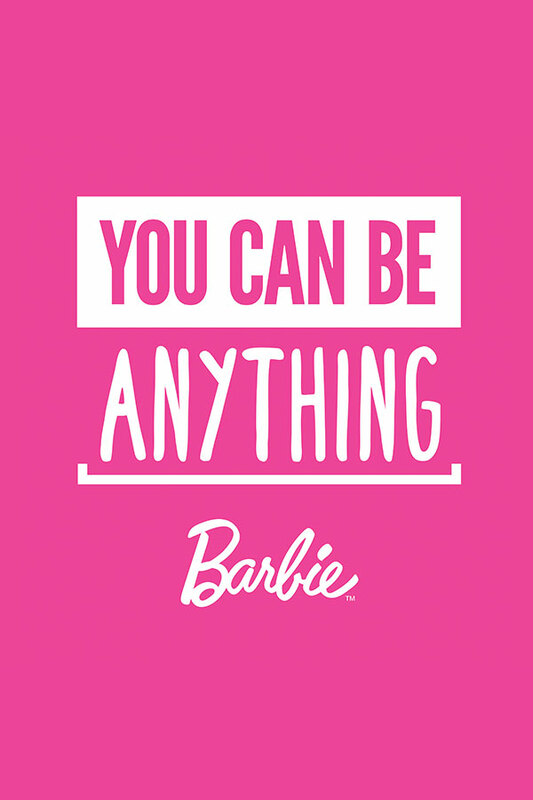 Barbie continues to uplift the young generation today with its latest campaign,“You Can Be Anything” that aims to inspire young girls in believing that they are capable of achieving their dreams and that with Barbie,they can be anything. 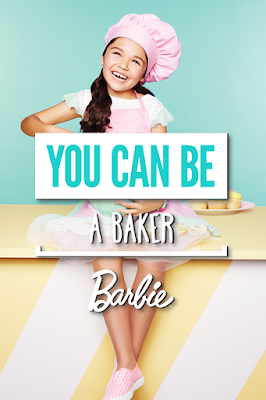 In line with Barbie’s latest campaign, Richprime Global Inc., in partnership with Toy Kingdom and The SM Store springs up with the You Can Be Anything Day, a fun filled whole day event that lets girl dreamers explore different inspiring careers. Experience to be a Newscaster, a Pastry Chef, an Artist, a ramp model and many more. 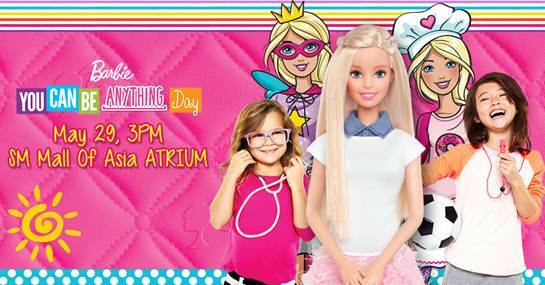 Exclusive Barbie activities, amazing prizes and surprise celebrity guests await families and kids on this very exciting day. 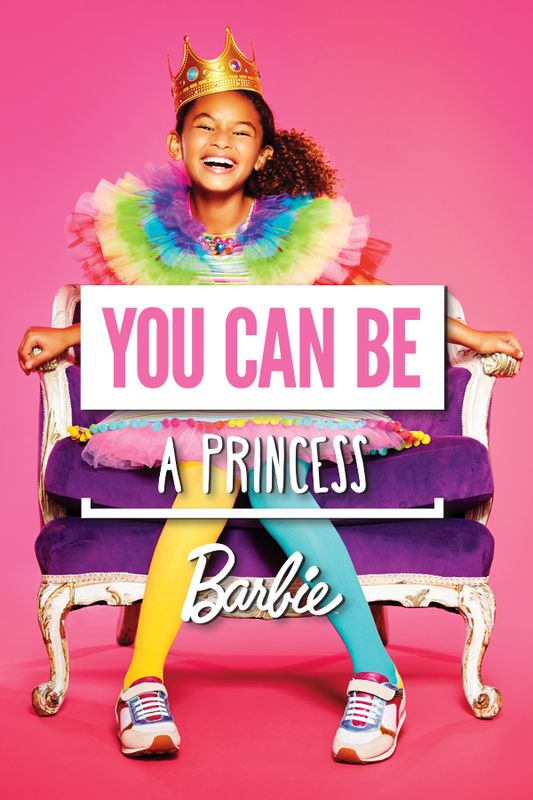 Get yourself dolled up as a true Fashionista with hair styling and face paint in Barbie’s very own Pink Salon. 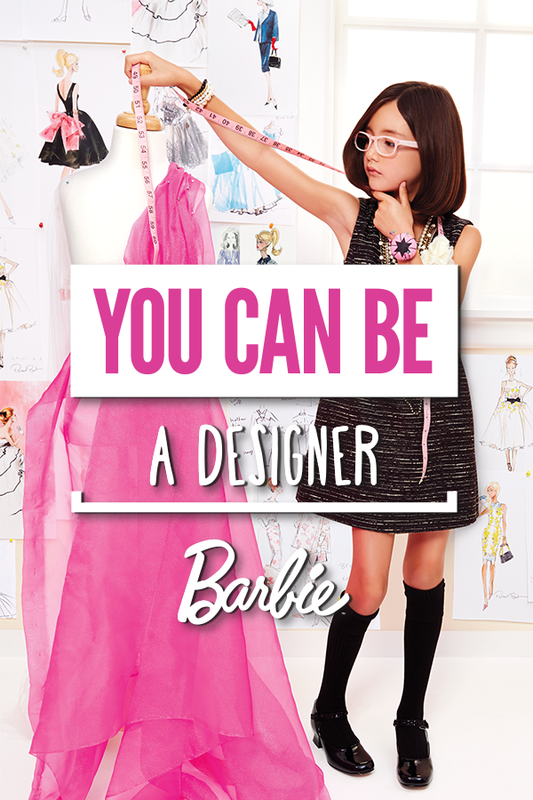 Be creative and show the Barbie Stylista that you are! Enjoy themed-costumes to play dress-up and a chance to walk the runway after your fashion makeover at Barbie’s Fashion Closet. 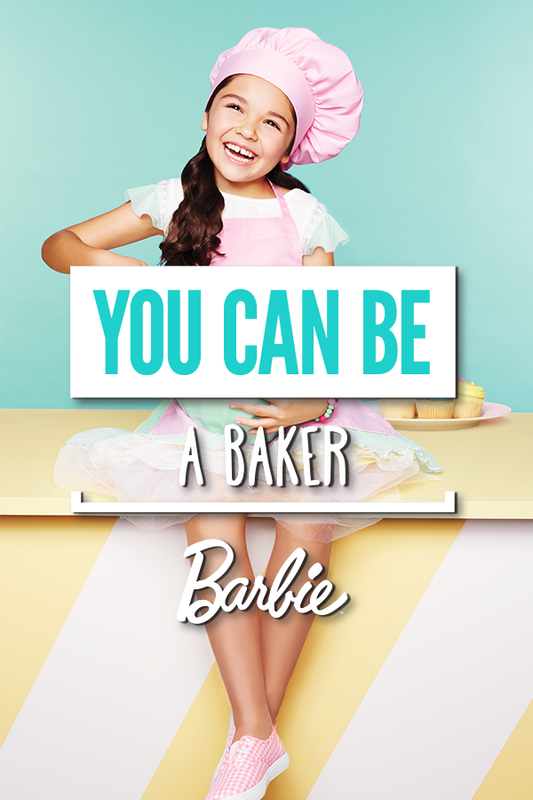 Our Barbie Pastry Chefs just opened the bakeshop for some sweet treats! 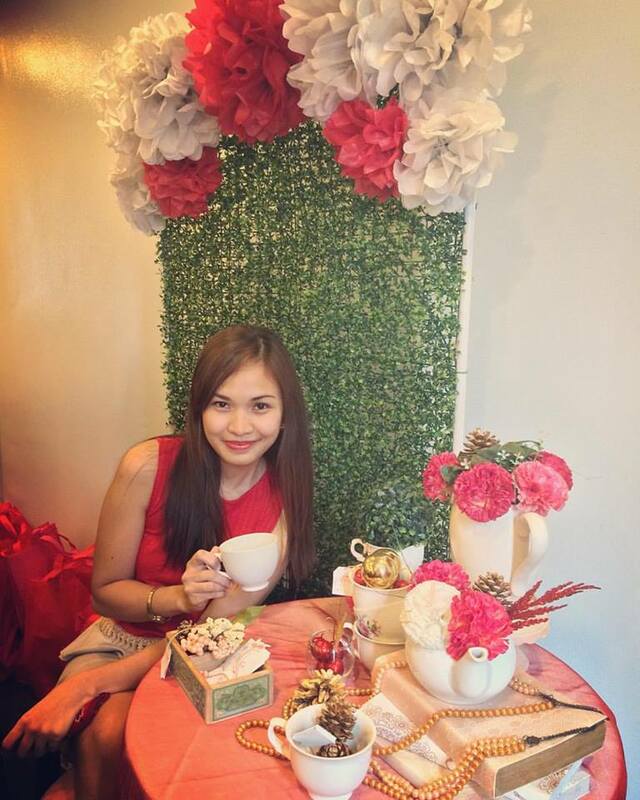 Just follow the steps on the wall at Barbie’s Doll’icious Bakeshop to enjoy your own Barbie Cupcake or cookies. Get ready to hit the spotlight as a B- TV News Anchor and deliver the daily news by doing your very own video as a newscaster from the Barbie’s B- TV Station. Show off your artistic side and make everyone jealous with your artworks, at B- Artistic booth. Buy P 1000 worth of any Barbie merchandise from participating The SM Store and Toy Kingdom Outlets from April 29 to May 29. Present your single or accumulated receipt at the registration area of the event on May 29 at SM Mall of Asia Atrium. Get your Barbie Pink Passport from Richprime representatives to enjoy pinktastic weekend with Barbie! Turn your dreams in to reality and make the runway your new playground this May 29 at SM Mall of Asia Atrium. See you there! To know more about "You Can Be Anything Day" visit or follow Barbie on their Social Media Platforms, Facebook (BarbiePHOfficial) and Instagram (@BarbiePHOfficial). 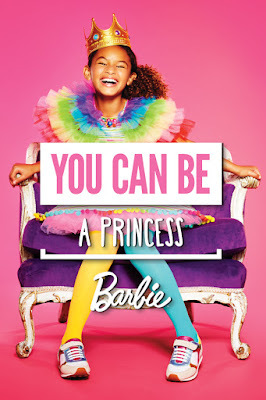 Barbie is exclusively distributed by Richprime Global Inc.here in the Philippines. Visit their website at www.richprime.net to learn more about our products. 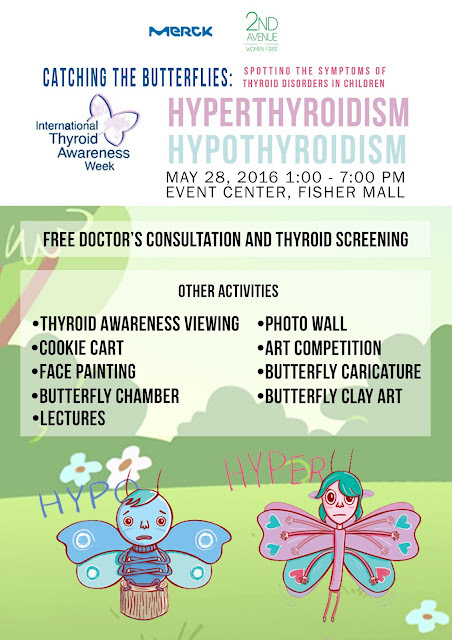 In celebration of the 2016 International Thyroid Awareness Week, a week-long event with the theme “Catching Butterflies: Spotting the Symptoms of Thyroid Disorders in Children.” will be culminated on May 28, 2016 at Fisher Mall Event Center. The International Thyroid Awareness Week's (ITAW’s) objective is to help mothers and pregnant women spot the signs and symptoms early so they can be cured treated and children can then live normal and healthy lives afterwards. wrong with the thyroid, it can result to hormonal imbalances that if undiagnosed and left untreated, can have a harmful effect on brain development, growth, puberty and well-being. Awareness should never be overlooked because it could save someone’s life and help so many other people in the process. The (ITAW) is the perfect opportunity to learn more about how the thyroid gland and the thyroid disorders that affect one’s metabolism. 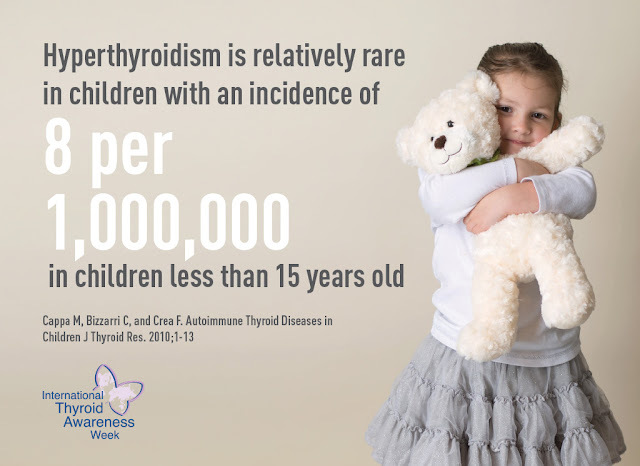 The “Catching Butterflies: Spotting the Symptoms of Thyroid Disorders in Children” event will have two colorful mascots representing the two different thyroid disorders. 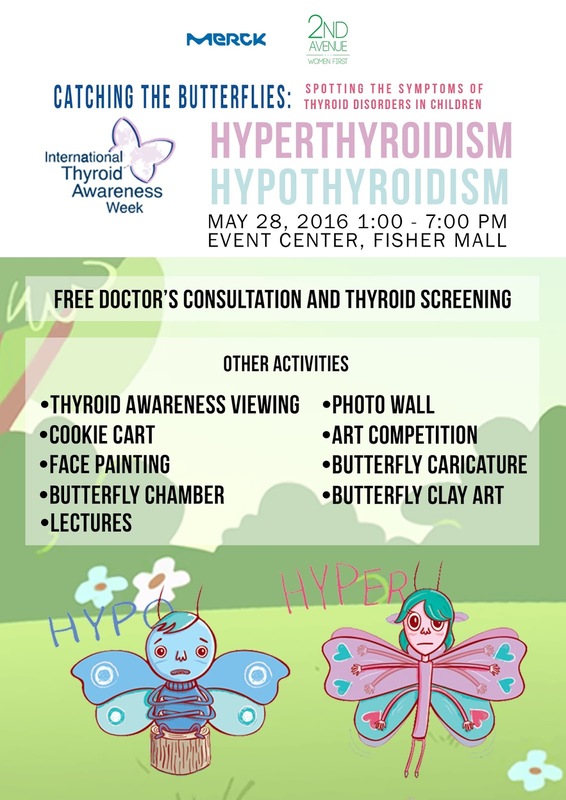 Apart from having a lecture, there will also be a screening and a checkup for those with the symptoms of thyroid disorder, as well as consultation and compliance in treatment. According to Dr. Ian, a dedicated multi-sport, endurance and CrossFit athlete, you can do exercises that will loosen up the cramps and dysmenorrhea. “Make sure to go slowly and choose workouts that you can sustain and safe for you. 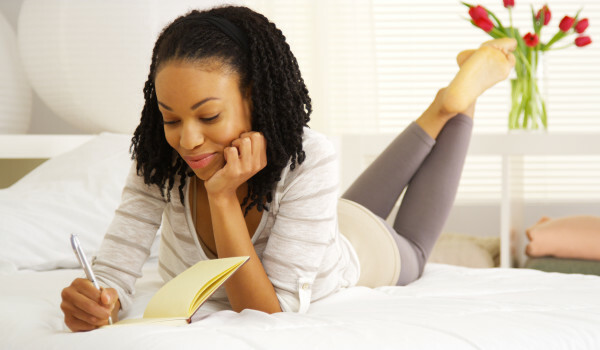 Mind your changing time every after four hours to prevent leaks and to keep yourself odor and bacteria-free. With Jeunesse Anion Sanitary Napkin, you’re armed with triple dose of comfort and protection since it’s liniment-free, uses non-toxic glue, thin but highly absorbent to keep your form on point. Apart from these, if you’re a mom who just gave birth, rest assured that the materials and process in developing Jeunesse Anion are totally safe and secure for you." From tracking down how many calories you consume and how many calories you burn to making sure you have a workout schedule to follow, fitness apps are great to have because it’s all there, right in the palm of your hands. What’s even better is they’re fee! Check out RunKeeper, Daily Yoga, StrongLifts 5x5, Nike + Training Club, Sworkit Lite Personal Workout, 7-Minute Workout, and Zombies Run! Bear in mind that getting fit is not just about working out, 70% depends on a good diet. Philippine and US registered dietitian-nutritionist Cheshire Que, RND, RN, RDN, food and fluid are essential elements for the success of your workout. “An hour or two before exercise, eat a light snack that has a combination of carbohydrates for energy and some protein for muscle growth and repair. After the session, no need to eat with guilt as refueling within 15 minutesafter exercise is essential to replace fluid loss. However, it’s not an excuse to binge and aim to consume what’s only in your total caloric allowance for the day. Otherwise, you’ll gain weight and your exercise will be futile”, she adds. Wellgold International Inc. distributes Jeunesse Anion Sanitary Napkin and Liners and currently available at Watsons, selected Mercury Drug and South Star Drug outlets, SM department store’s health and beauty section, Robinson’s Supermarket, Shopwise, Rustan’s, Waltermart, Landmark Department store, UP Town Center’s Merkado Department Store, PCX stores, selected Metro Gaisano outlets, selected LCC Malls in Bicol, plus other stores nationwide. You can also purchase online with free delivery via www.lazada.com.ph. For more information, log on to www.jeunesseanion.com and follow Facebook, Twitter, and Instagram: Jeunesse Anion. For inquiries, email: wellgoldinternational@gmail.com or call (02) 4701294. Being a mom has always made feel like a super hero! I have the power to make the pain of the boo-boo go away just by kissing it, I get to juggle many things at the same time, survive sleepless nights and so on. Where do I get my superpowers from? Of course, my kids! Their laughter, their innocence, their love is what empowers me. “So once again, the day is saved. 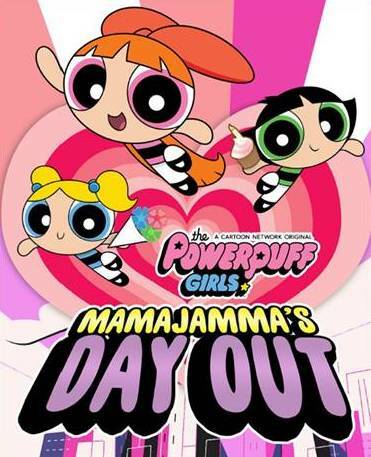 Thanks to The Powerpuff Girls!” The citizens of Townsville are always grateful to the superhero trio for saving the world before bedtime. In reality, our days are saved mostly by superheroes who have been with us since day one – our mothers – and more often than not, we forget to thank them for all the great things they have done. I always celebrate the day I became a mother and last May 8, 2016, Cartoon Network treated over 5,000 moms and their kids to The Powerpuff Girls Mama Jamma’s Day Out at the Activity Center in Trinoma Mall, Quezon City. We got the chance to meet and greet the Power Puff Girls. The kids were very happy and that makes me the happiest too! Brianna can't get her eyes off Bubbles, she was stunned by her as her favorite color is yellow! 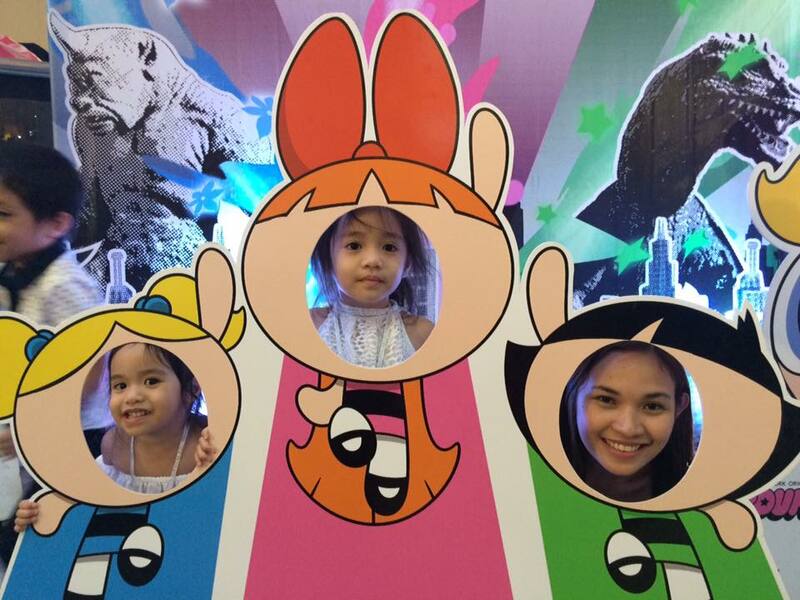 Athena was a bit scared with mascots but still gladly posed with them, cute! Look at Tristan's smile, he was claiming that Blossom's touched her. Haha! 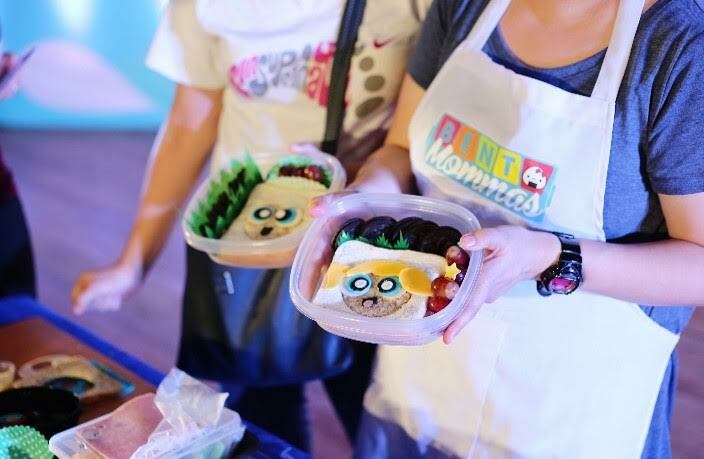 There was a Chemistea Lab, where kids concocted their own delicious beverages; and Bento Baon, where moms and kids bonded over learning how to prepare super-cute, crafty and yummy lunchboxes perfect for school. In addition, kids also took part in Poaky Oaks Art Classes where they learned to make their own Pillow Puff pillows, design their own picture frames, inflate their own balloons and have their face and body painted. To make this Mother’s Day more memorable, kids were also encouraged to create their own Powerpledge Accessories and exercise their creativity as they make their little promises to their moms. Nothing says “I love you, mom” more than a well-kept promise. 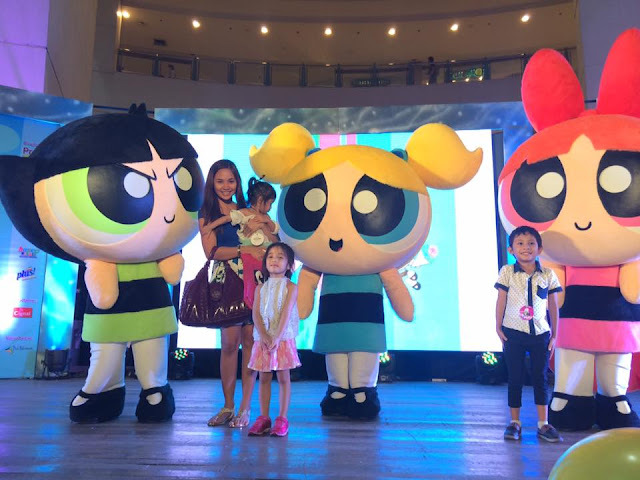 The Powerpuff Girls Mama Jamma’s Day Out was hosted by Karel Marquez, with performances by the Pop Girls and special appearance from celebrity mom Camille Prats and her son. For more information, visit the event page: https://www.facebook.com/events/1127863173911696. Catch Blossom, Bubbles and Buttercup every weekday at 5:45pm as part of Laughternoons only on the number one kids’ channel, Cartoon Network! 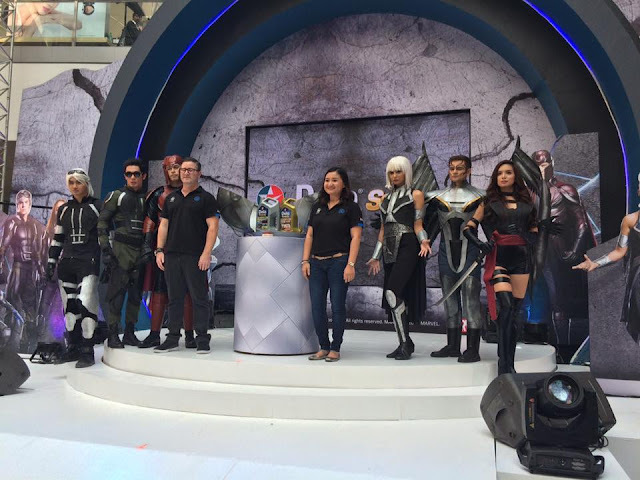 Cartoon Network is available on SKYCable Channel 43, SKYCable HD Channel 178, Cignal Channel 35, Cignal HD Channel 110, Destiny Cable (Digital) Channel 43, Destiny Cable (Analog) Channel 51 and Cable Link Channel 26, Dream Satellite Channel 15. Its been a while since I transitioned from being a full time mom into a work at home mom. I rarely go out anymore since I do my job online in front of my computer. I only go out for blog events and to unwind with my family. I also haven't shopped in a while but honestly that's the least thing I want to do whenever I'm out. Shopping out is really a struggle especially with 3 kids and I can't endure all the walking around and long queues. Good thing, I can shop online. It's easier and more convenient! Nowadays, there's already a lot of online shops to choose from. But as a mom, aside from convenience I'm always on the lookout for bigger discounts and promotions or simply more ways to save. That's why I'm very happy when I came across GivingAssistant.org. 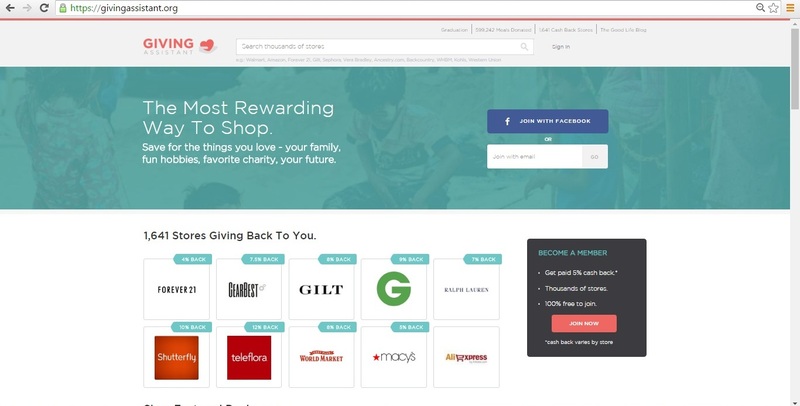 Giving Assistant is an online shopping website which offers great deals and huge discounts from over 1,600 stores or merchants plus Cashback, but not only that because you also have the option to give back to your chosen charity. When I first heard about stores giving Cashback I was amazed and now Giving Back to the community is another thing. What a noble act! This is definitely how modern online shopping should be. So how does Giving Assistant works? 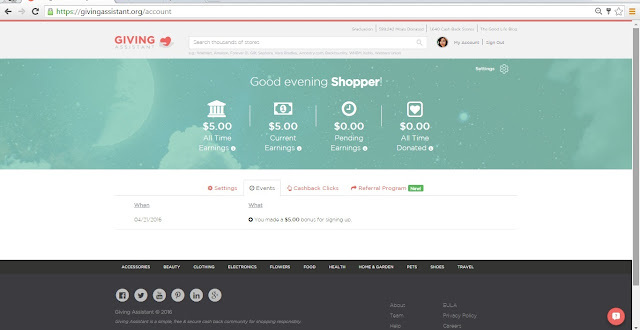 Retailers pay Giving Assistant a commission for purchases originated from the website [Average ~5%). For purchases made by members, customers are given the entire commission in the form of ‘cash back’. Plus, they make a small donation to Feeding America to give one meal every time cash back is earned. Members are also given the option to automatically donate any % of their cash back to any charity of their choice. Let me give you a quick and easy guide on how to use Giving Assistant. 1. 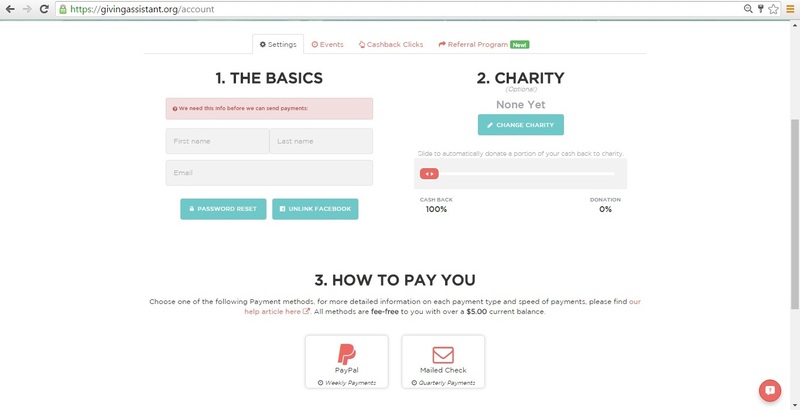 Go to https://givingassistant.org/ and create an account either by signing up with your email address or through Facebook. 2. After successful sign up, you can already start shopping. But before shopping, what I did was I went to check on "My Account". I was thrilled to see $5 instant earning just by signing up! Yey! 3. Now under the Settings Tab you can see (1) The Basics where you have to put in your Name and email address for the payment. (2) Choose which Charity and how much of your Cashback you'd like to donate. (3) Choose which Payment Method you prefer, either Paypal for fast weekly payment which will be made every Monday on your current earnings or Mailed Check for Standard Quarterly Payouts, checks will be mailed to you 30 days after the close of each quarter. All methods are fee-free to you with over a $5.00 current balance. 4. They also have a Referral Program, Everyone you refer gets $5 cash for signing up. Once they earn at least $0.01 cash back you get $5. There is no limit to the amount of cash you can earn through referrals. On the same page just right on top you can either use the search bar or click on the stores tab to browse for stores you'd like to shop and earn your cashback from. 5. 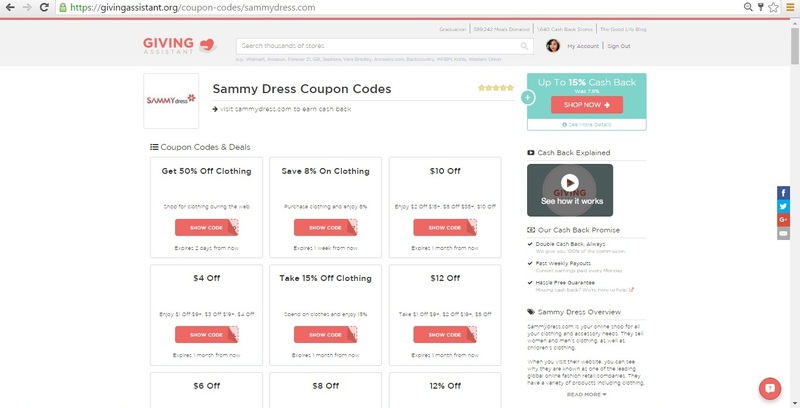 I was eyeing to buy a new dress and saw that Sammy Dress doubled it's Cashback, it's now 15% from 7.5%! 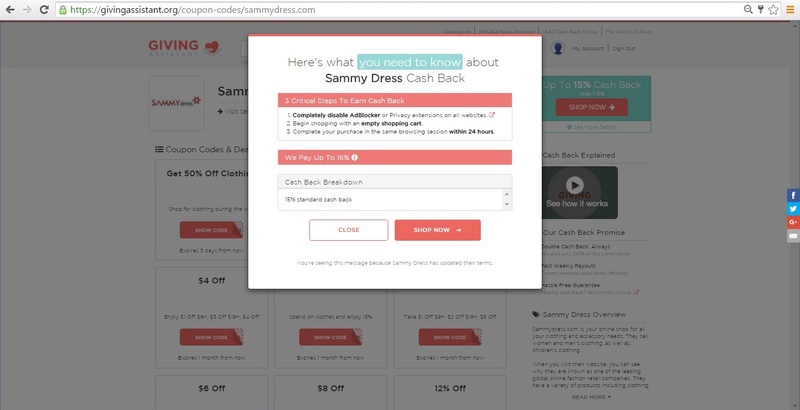 Aside from the Cashback you Sammy Dress also has lots of discount codes to choose from. Next, Click the "Shop Now" button on the right portion just below "My Account" and it will redirect you to the store where your Giving Assistant Account is linked. "Please take note of the 3 critical steps to Earn Cashback"
Completely disable AdBlocker or Privacy extensions on all websites. Complete your purchase in the same browsing session within 24 hours. 6. 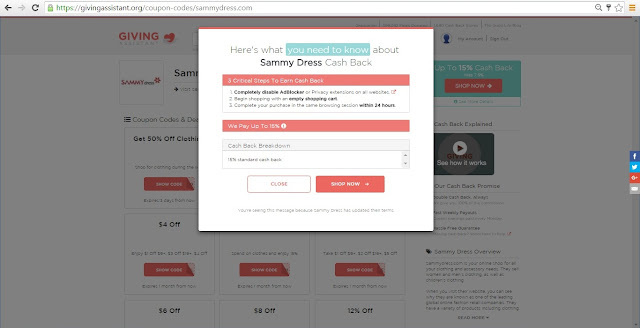 Once you're redirected to the online store where your Giving Assistant Account is linked just continue to purchase and pay for it. 7. Wait for your Cashback to be posted on your Giving Assistant Account! Cool isn't it? As practical as I am, now I need not to feel guilty anymore when shopping with Giving Assistant because aside from the great discounts, I get to earn cashback and even in my little way help those in need by donating an amount of my cashback to those in need, which is such a great feeling! So now instead of buying clothes just for myself I'm gonna buy some for the husband and kids too. I'm also thinking of buying some for my sister who's in Massachusetts. Might also let her sign up so she too can start earning and giving back while shopping! I'm sure she'd love it. Giving Assistant's mission is to transform everyday shopping into charitable actions, by being the best loyalty program for saving more & supporting charity, with ease. So What are you waiting for check out Giving Assistant now. 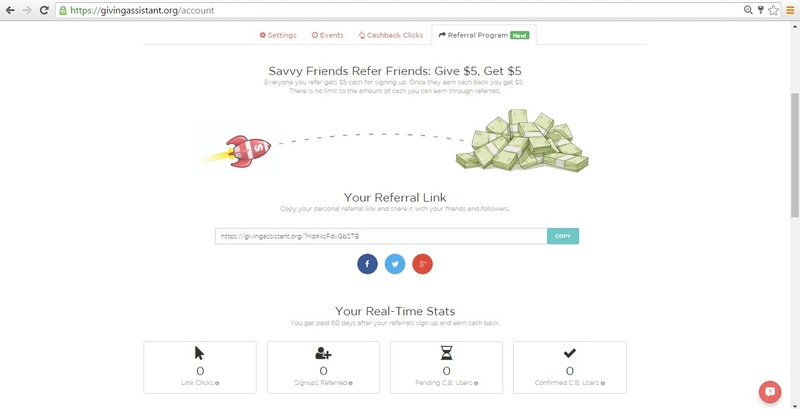 Sign up using my referral link and instantly get $5.00! 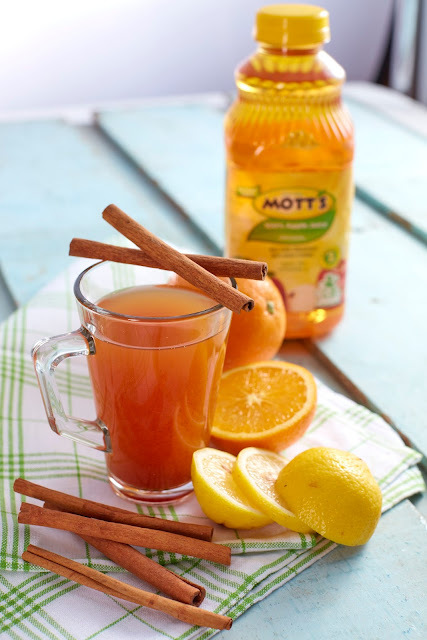 Hi Mommies, did you know that Mott's 100% apple juice is no ordinary beverage? You can either drink it or EAT it! Yes, you read it right! Experience creative cooking and pleasurable eating with the first ever recipe book developed for Mott's Philippines by Philippine and US registered Dietitian-Nutritionist Cheshire Que, featuring 20 tasty and nutrient-packed breakfast dishes, snacks and beverages, all made perfect with Mott's 100% apple juice goodness. 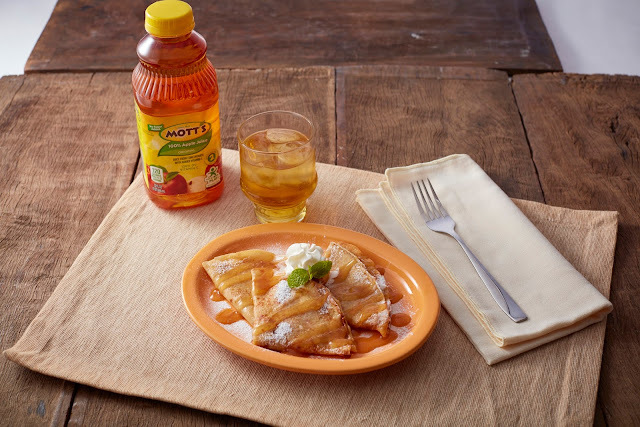 And right now, I'm gladly sharing with you some easy to follow recipes that are just all about delicious and nutritious ways that you can enhance food and beverages with Mott’s which I've learned from the recipe book I got during the Summer Family Fun Day with Mott’s 100% Apple Juice. I'm sure you and you're kids will enjoy cooking and eating this together! Heat over medium heat for 3 minutes. In a separate bowl, cream butter until smooth using an electric mixer. Add Mott’s 100% apple juice and mix. Using a tablespoon, drop cookie dough onto ungreased cookie sheet. Bake in preheated oven at 180 degrees Celsius for 15 minutes. Allow to cool in a rack and store in airtight container. 1. Combine all ingredients except cream cheese. 2. Blend well using an electric mixer. 3. Coat pan with cooking spray. 4. Pour 1/4 cup of batter into the center of the pan. 5. Lift pan and rotate to evenly spread batter and create a thin circular shaped crepe. 6. Cook in medium heat for two minutes or until crepe comes off when pan is nudged. 7. Turn crepe and cook for 1 minute. 8. Spread cream cheese on one side of the crepe. 9. Fold crepe in half then into quarters. 9. Bake in preheated oven at 180 degrees Celsius for 20 minutes. Serve warm. 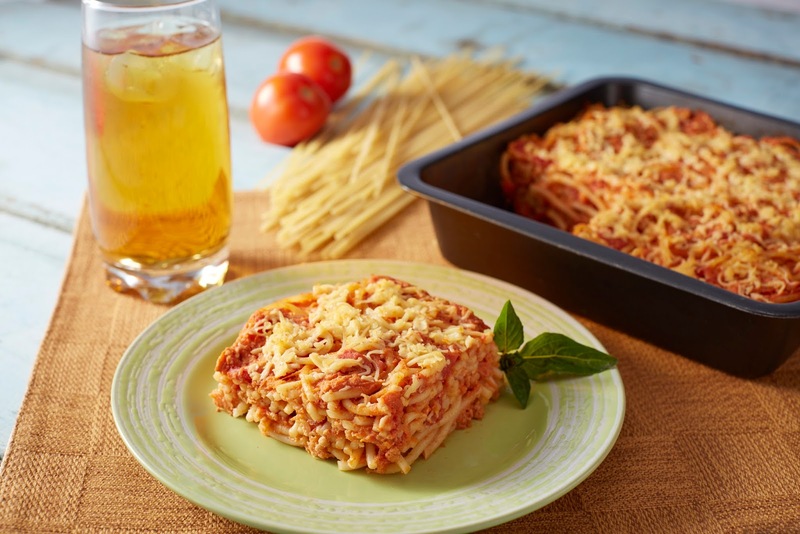 Recipe Variation: To decrease sodium content, decrease amount of salt and cheese by half. 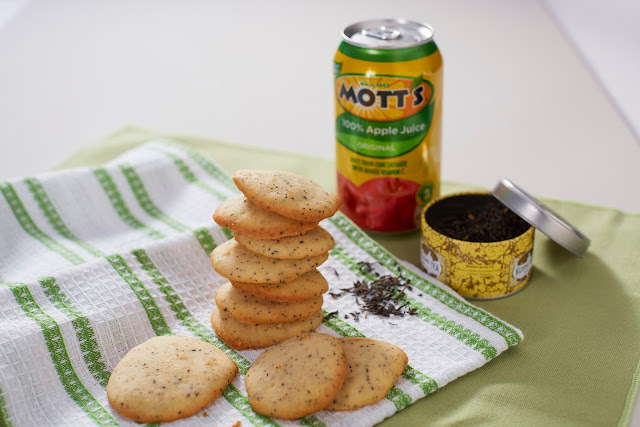 With Mott’s 100% Original Apple Juice, you can always find fun and flavorful ways to hydrate and fuel your family. Now, that’s officially an inevitable excuse to never run out of this beverage in your pantry! We all have insecurities about ourselves, height, weight, body figure and so on. Some people may have learned to embrace their insecurities and compensate on other aspects but there are people who still struggle. These insecurities lead to low self confidence which hinders them from achieving what they want in life. I am no exception. To be honest, I'm really not confident talking face to face with other people as I have this insecurity towards my skin. I'm shy to admit it, but I'm spilling the beans here. I'm worried that people would notice my large open pores, blackheads and white heads showing up, yikes! I don't really know how to what to do with it, seriously! 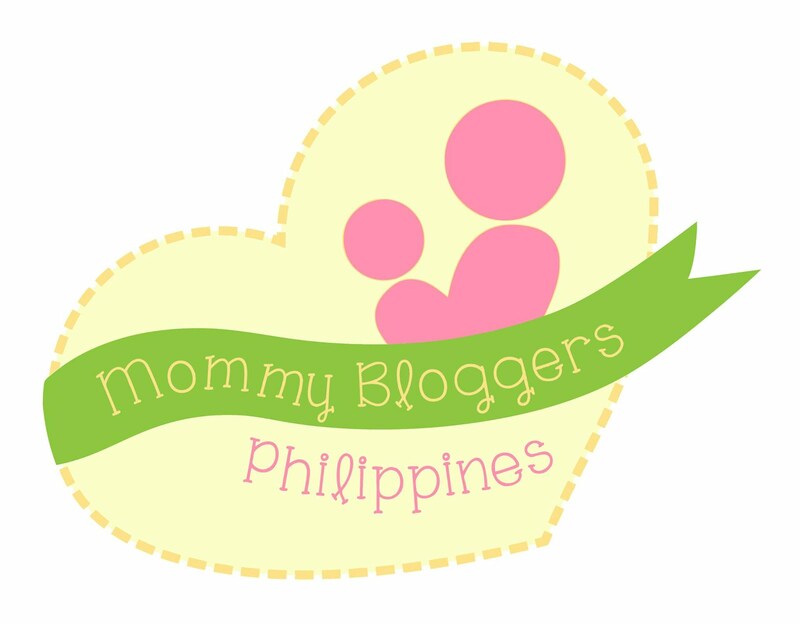 Being a blogger and a working mom, I get to deal with a lot of people from all walks of life that's why I badly need to regain my self confidence back. Good thing I got invited to the launch of the Gandang Career movement by Maxi-peel last May 20, 2016. Gandang Career is a movement that aims to empower working women like me. It’s an advocacy that seeks to motivate us so that we can achieve new accomplishments and move up our chosen professions. Gandang Career has 3 key elements in the Filipina’s road to success: (1.) the beauty of vision where setting goals and harnessing one’s capabilities to have a rewarding career are made, (2.) the beauty of passion where dedication and commitment to keep going are underscored, and (3.) the beauty of you, where one’s winning beauty and personality are enhanced so you can shine. 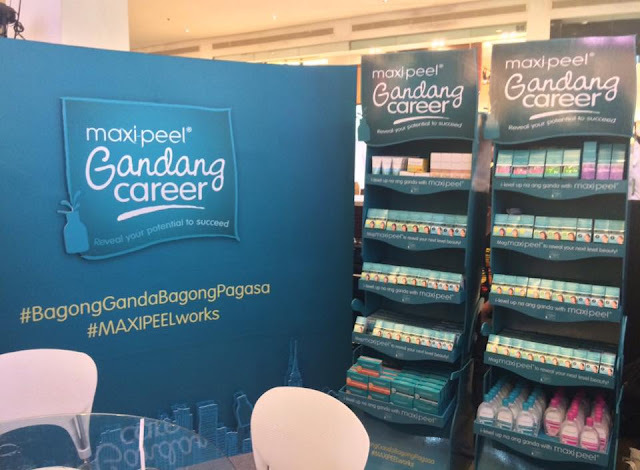 Splash Corporation, makers of Maxi-Peel, partnered with various entities for Gandang Career’s events and activities – Dale Carnegie Training, a global training and consulting company, People Management Association of the Philippines (PMAP), an organization of human resource and management experts that also hone would-be executives through career development programs, and a dermatologist. The on-ground talks for the Gandang Career caravan focuses on personality development, success-driven performance, skill enhancement, and leadership training. Free consultations with a dermatologist on skin care will also be held. 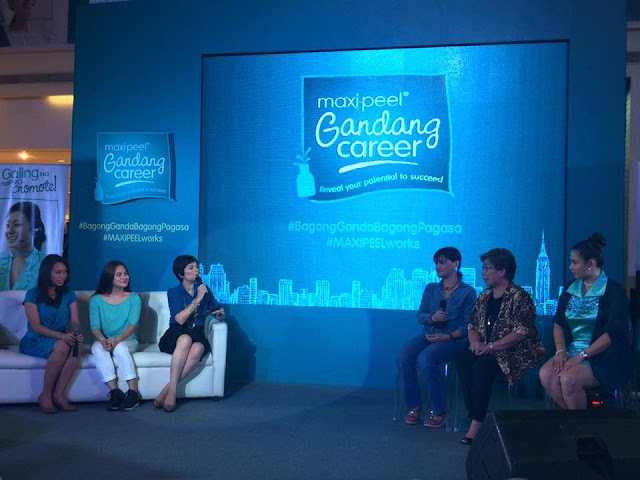 Gandang Career is anchored on promoting self-improvement and career advancement among female professionals. The objective is to tap one’s inner potential and go beyond what is on the surface. It will also inspire the working Filipina to set new goals – that she can do much more – for herself and for her future. Just like what happened to Jeff who is the star of Maxi-Peel's Tunay Serye. Don’t miss this chance to explore new opportunities and possibilities. 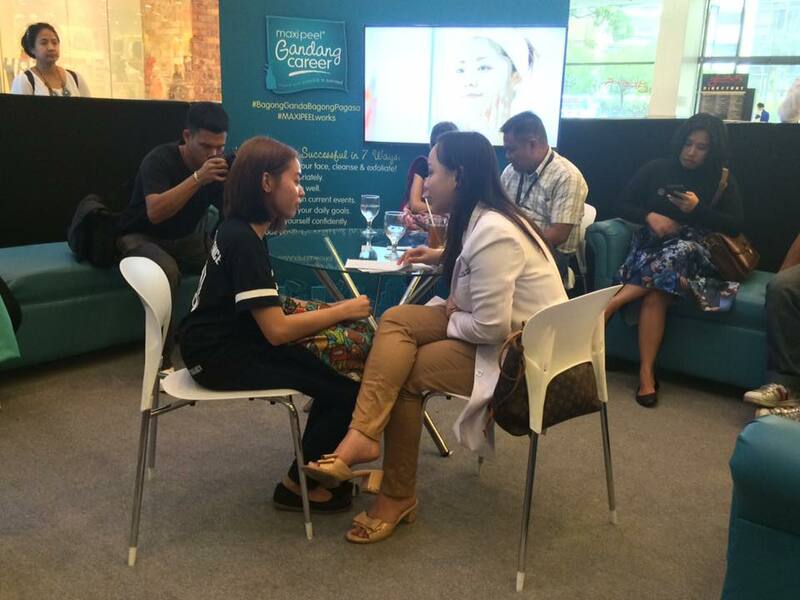 Watch out for the Gandang Career caravan in participating corporate offices nationwide. These talks and consultations will give you a new and fresh perspective in your work life. 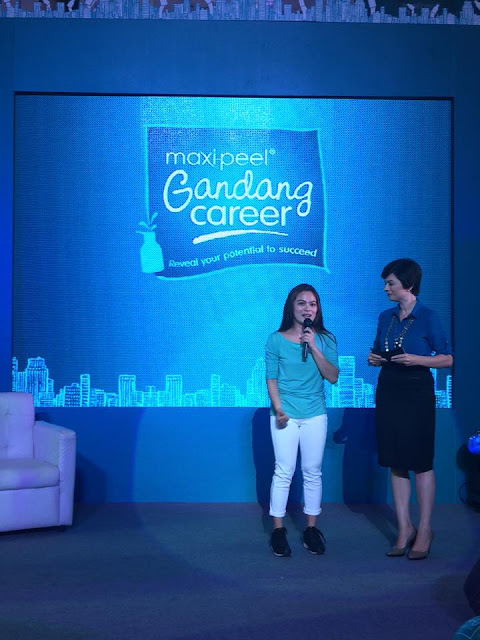 Gandang Career will also make you appreciate your career – no matter how difficult or challenging it might be at times. Log on to www.facebook.com/MaxiPeelSkinCare for event and registration details. 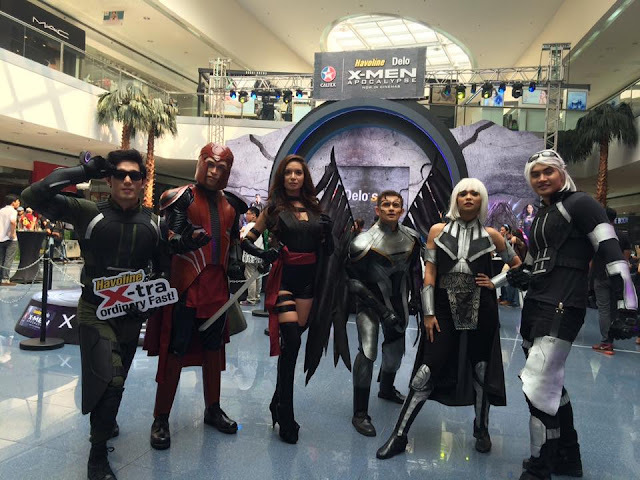 The Atrium Hall of SM Mall of Asia was transformed into the X-Men School for Gifted Youngsters last May 20, 2016 as Caltex partnered with 20th Century Fox for the latest installment of the most-anticipated blockbuster movie X-Men: Apocalypse. 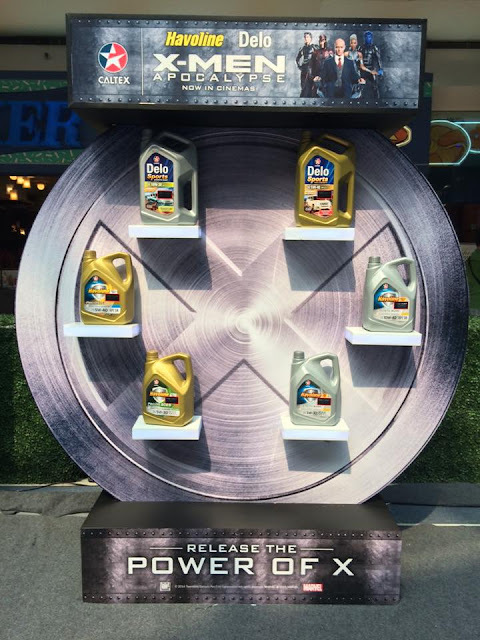 The event served as the launch pad for the latest member of its Diesel Engine Oil product family, Delo® Sports with ISOSYN® Technology where motorists learned how to protect and maximize the power of their car engines at the Caltex Delo Sports product demo area. Delo Sports Fully Synthetic SAE 5W-40 is designed to provide ultimate protection for diesel powered sport utility and sport activity recreational vehicles that require heavy-duty type engine oils with the highest performance rating of API CJ-4. Delo Sports Synthetic Blend SAE 10W-30 meanwhile is especially designed for the latest models of sports utility vehicles fitted with common rail fuel injection systems where API CI-4 performance is required. 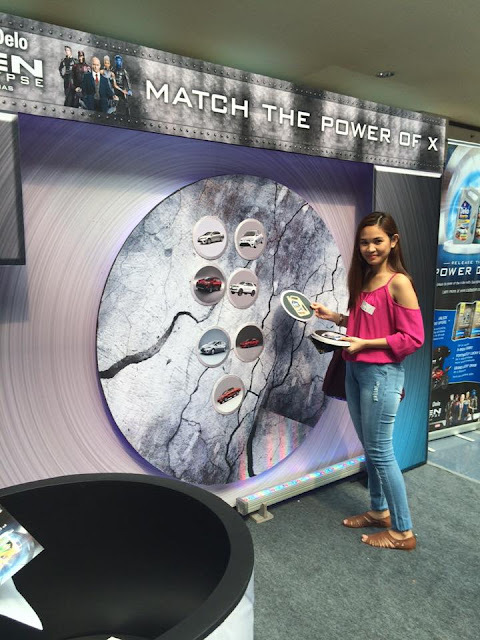 X-Men fans and mall goers also got the chance to experience the Power of X with enjoyable and exciting activities, plus a chance to win exclusive X-Men gift bags. The "Match The Power of X" tested our minds, wherein I learned the required Diesel engine for each car types. The Race to The Power of X arcade challenge brought out the mutants in us too! Along with the continuous evolution of the workforce, even how we do business is changing. 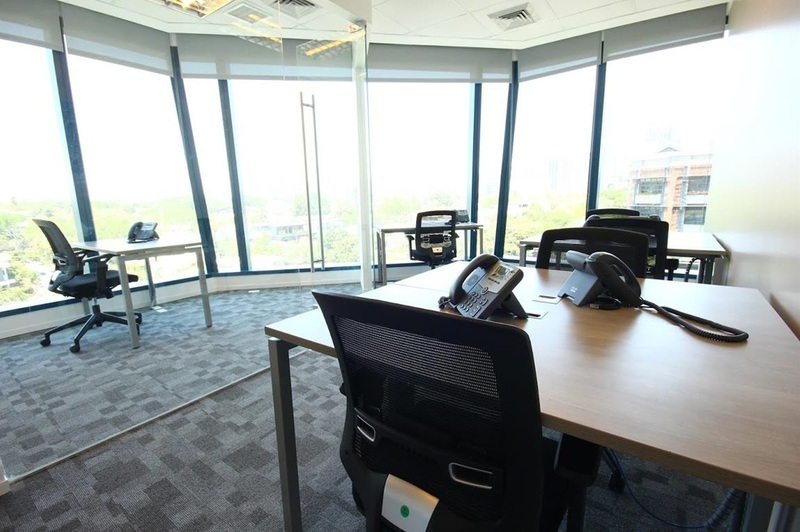 Flexible work spaces for the younger Internet generation are now making waves in the Philippines. 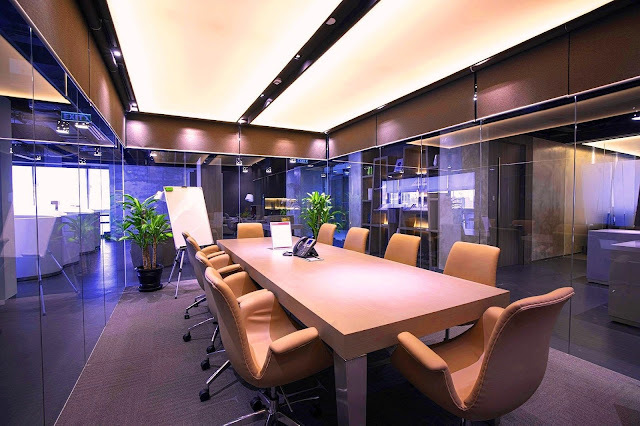 To keep up with the pace, Regus is introducing out-of- the-box work stations custom fit to answer the needs of the young and millennial entrepreneurs. 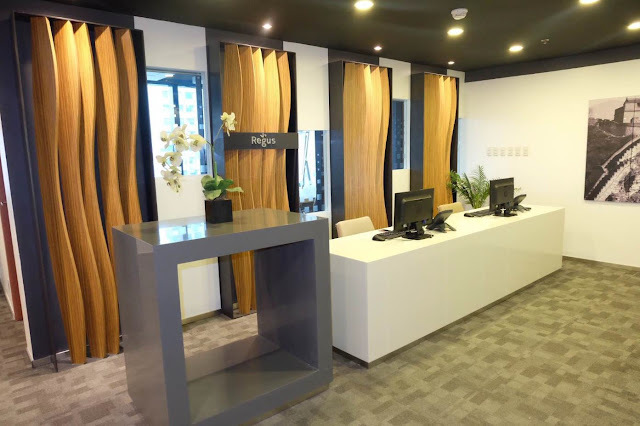 Established 1999, Regus Philippines now has offices in key cities such as Manila, Pasay, Pasig, Mandaluyong, Taguig, Muntinlupa, Quezon City, Clark, Cebu and Makati City. 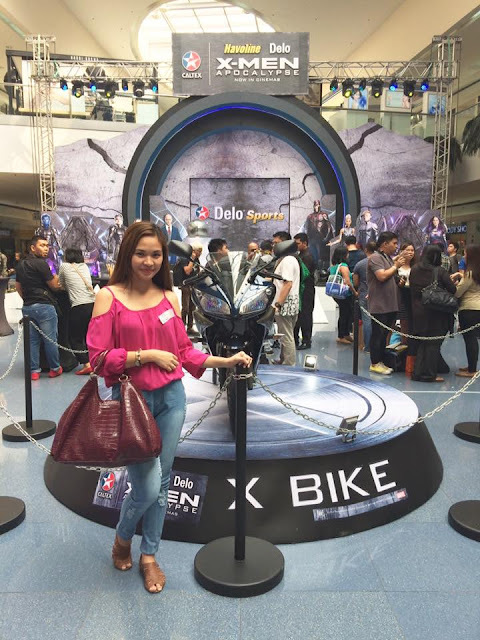 In Makati City alone they have 7 offices already and last Wednesday, May 18, 2016 I together with my co bloggers get to tour their 3 sites located in the following buildings; The Enterprise Center, BPI Buendia and 8 Rockwell Makati City. 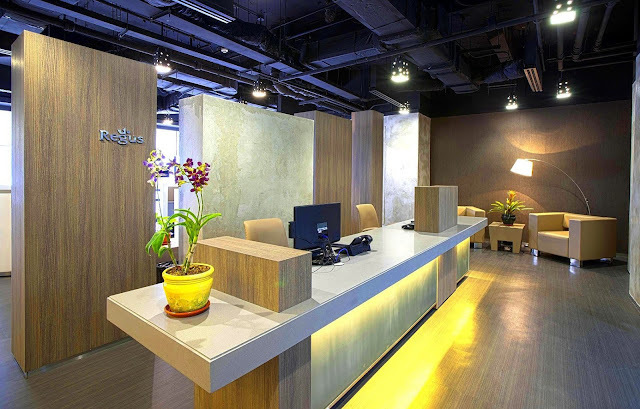 Reception area of Regus located in 27th Floor BPI Buendia Center. It has a spa-like feature which makes the ambiance very relaxing. 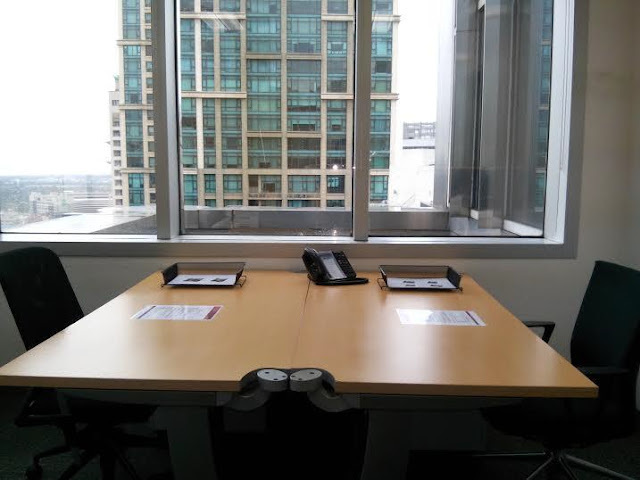 Modern touch at the Regus office located in at the7/F Unit B in 8 Rockwell Center. The flexible terms and different membership levels of Regus’ products and services is designed to suit the needs of every working class from homeworkers to CEO’s and is well adapted to the norms of the modern society. Instead of putting up a venture from ground up and furnishing it with necessary equipment, serviced offices is now a viable option. It is already equipped with state-of- the-art facilities and connection ready spaces. 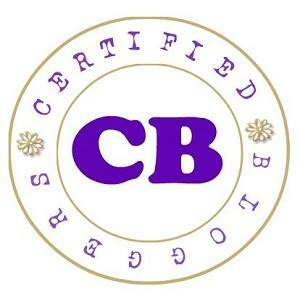 A highly trained staff will man your office and you can also boast of a premium business address. “Managing a remote team, or being an employee of a team that works remotely, should not be a hindrance to success at the workplace,” said Lars Wittig, Country Manager of Regus Philippines. Harnessing one’s abilities and recognizing where and how they work best is the key to success in this constantly evolving workplace, he added. Alcatel, one of the world’s fastest-growing smartphone brands seeks to provide an exceptional and enjoyable consumer experience to the most dynamic and aggressive mobile technology markets in the world, the Filipinos. 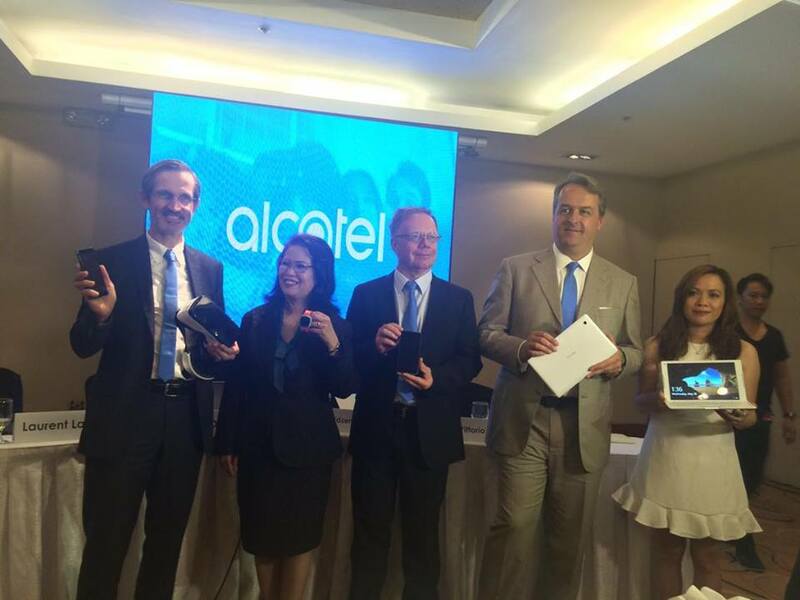 Alcatel executives presenting their latest range of products. From left are Mr. Alain Lejeune, Senior VP & GM of Worldwide Mobile Phone Division; Ms. Liza Woods, Regional Director-Asia Pacific & Country Manager; Mr. Laurent Labbe, VP & GM of Global Qualoty & Global Customer Care; and Mr. Vittorio Di Mauro, VP & GM of Smart Connectivity Business Division. Upping the ante in the country’s smartphone industry, Alcatel recently launched its latest range of products: IDOL 4S + VR, MOVIE TIME TRACK & TALK watch, and PLUS 10 with 4G LTE Keyboard. “Alcatel has been known globally to redefine the mobiles mass market with its latest mobile technologies that have been designed to be accessible to everyone. 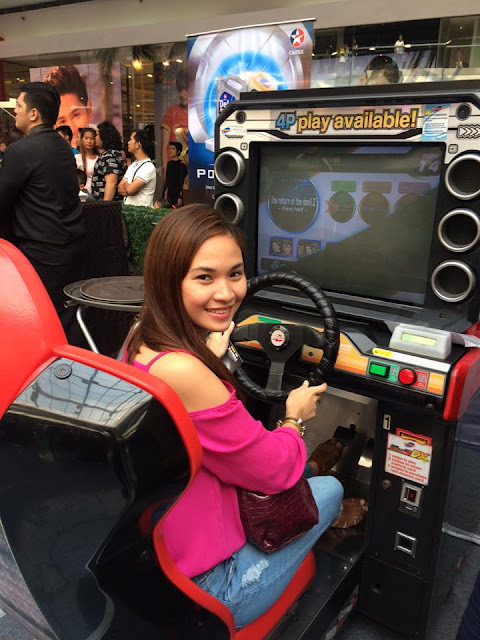 Now, it seeks to continue delivering customized user experience with innovative, feature-rich, high-performance mobile devices that allow consumers to do more, create more and enjoy more moments of joy every day.” shared Liza Woods, alcatel Regional Director for Asia Pacific and Country Manager of Philippines said. At the product launch event last May 18, 2016 at Crowne Plaza, I got the chance to get my hands on these 3 latest products. 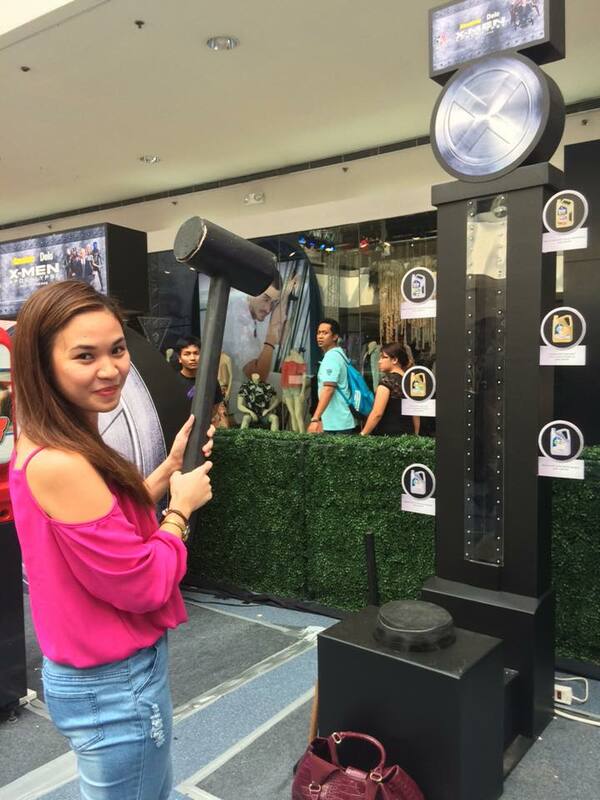 They also raffled off 18 devices to the media guests to which most of my blogger friends and seatmates during the event won. Imagine we were 8 left on the table and 5 won it was unfortunate for the other 3 which includes me. Haha! 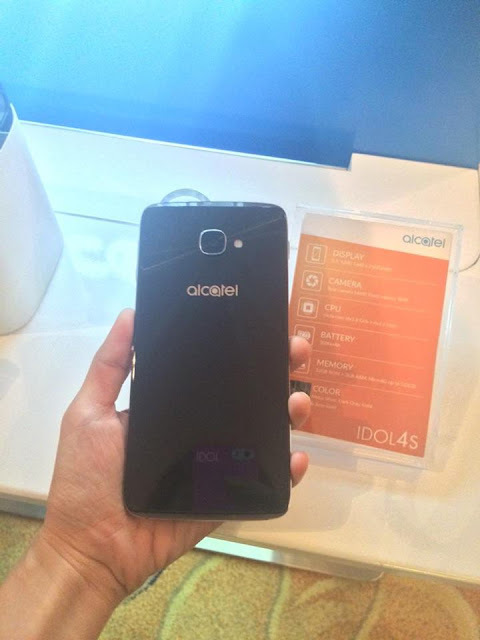 Leading alcatel’s latest product lineup is IDOL 4S + VR, the company’s new flagship smartphone. alcatel takes the user experience up a notch with unique, finely crafted design, and innovative features. It has the Boom Key which promises to level up custom-made features like taking photos and videos, listening to music, gaming and user interface, “It boom-ifies everything, from the sound to photos to gaming,” shared Woods. 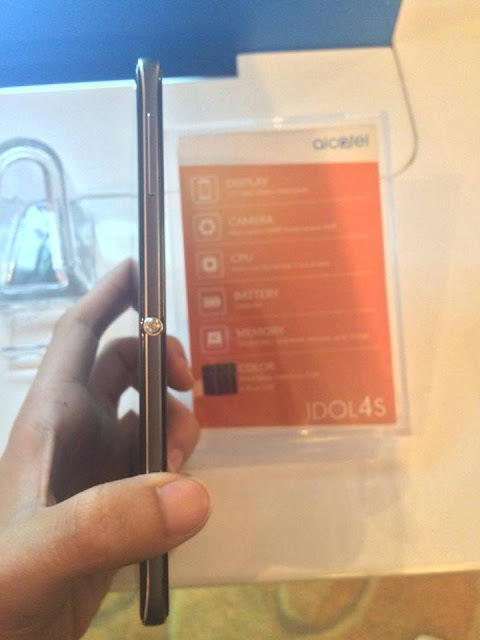 Something that will really get everyone excited about as well is that they've augmented their flagship’s multimedia experience: the large screen with great views from all angels, powerhouse audio and a top-of-the-line camera with dual flash.cThe IDOL 4S smartphone comes with a 16-megapixel rear-facing camera and 8-megapixel front camera. It has a 2K AMOLED screen display and a 3000mAh quick-charge battery that can last all day. The innovative packaging design transforms into a pair of virtual reality googles that create visual reality experience anytime, anywhere and become a portal for users to enter the world of immersive 360-degree viewing and gaming. 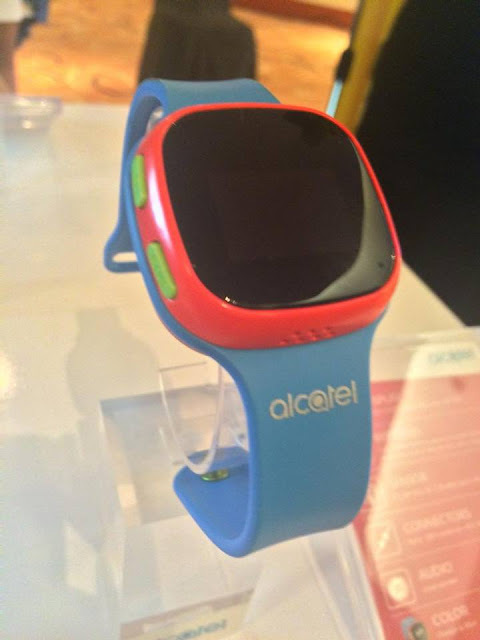 Recognizing that seamless connections are vital in today’s mobile world, alcatel also launches the MOVIE TIME TRACK & TALK watch for children. Design for kids from 5 to 9 years old, this 2G device allows parents to callor send them voice messages. Using the simple user interface, children can reply to calls from up to 10 pre-set contacts and make calls to 5 registered numbers. “Connected objects are part of the daily experience of young children today, so MOVE TIME can fit easily with thier needs and parents’needs” said Vittorio Di Mauro, General Manager of Smart Connectivity at alcatel. Using a blend of GPS, GSM and Wi-Fi, the watch can locate children within 60 seconds using the most accurate information, both indoors and outdoors, thanks to a dedicated cloud service. It is compatible with both iOS7 and above and andriod 4.3 and above. The battery has a long standby time, lasting up to four days. The PLUS 10 tablet can be used in laptop mode to type documents or create spreadsheets, and in dock mode to display presentations or sliders. it can be connected to a hard drive, mouse, USB key and a secondary screen. 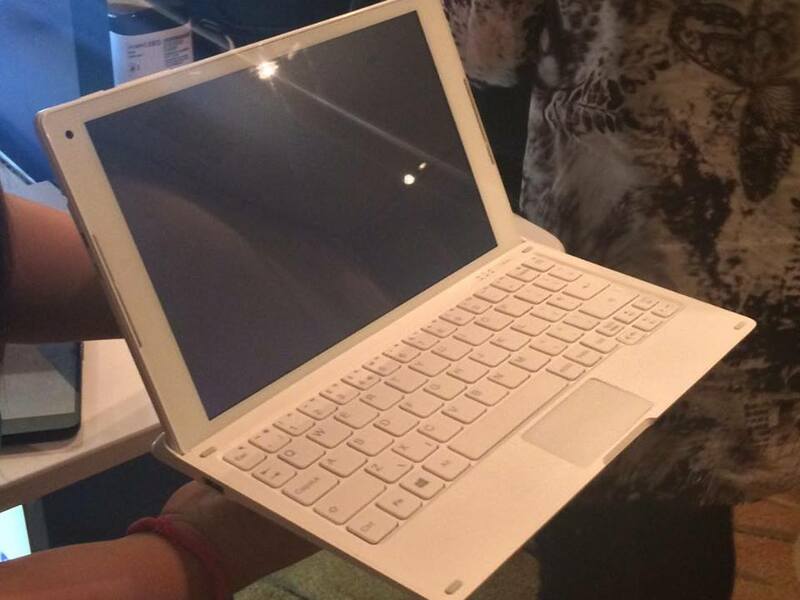 it is compact and 40 percent lighter than an average laptop. This device is a perfect travel companion with a double battery. The tablet an 4G LTE keyboard combined have a total 8,410 mAh, which last a full 8-hour working day. The keyboard works double-time to serve as a Wi-Fi hotspot for up to 15 users. To complete PLUS 10’s long list of functionalities, it has both a front and rear-facing camera, with front flash making it deal for video calls. Woods said with the new lineup of products, the alcatel brand hopes to resonate with millennial and Gen Z consumers with it simple, personal, authentic, and fun approach. 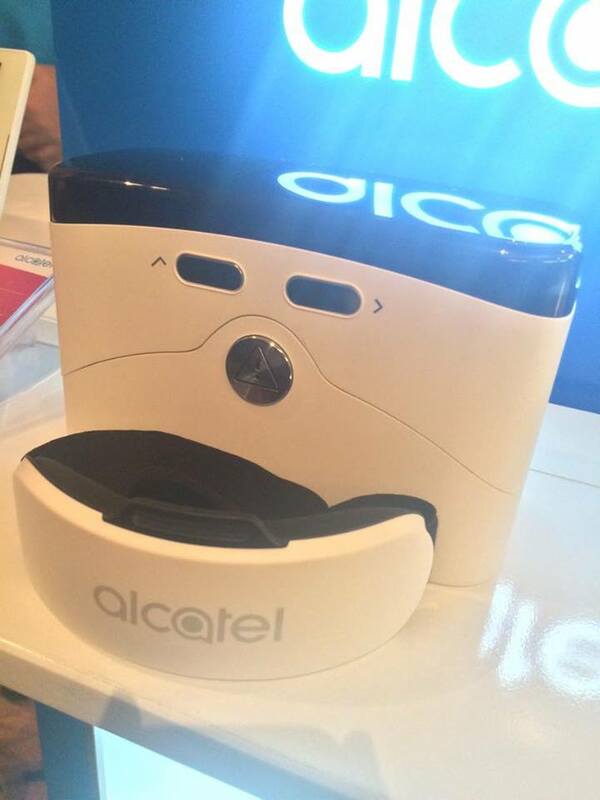 Excited about Alcatel’s newest range of mobile devices? 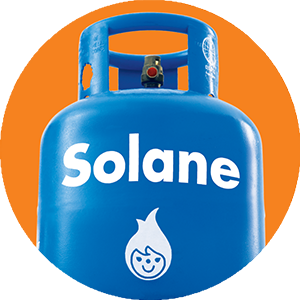 Ready yourselves as it will be available in the market on June 2016.